AMCAT Syllabus and Sample Papers 2018-2019 – AMCAT is playing crucial role in freshers job especially for IT Jobs. AMCAT is conducting online exam and based on the AMCAT score, companies invites candidates to participate in recruitment drive. AMCAT Syllabus for ECE, EEE, Mechanical, CSE, IT, MBA, MCA: AMCAT Exam is being conducted by aspiring minds. Any Engineering students with avg technical skills can pass this AMCAT exam.There are few sections in AMCAT exam where you need to pay attention to get good marks. AMCAT is not only for engineering batch but any graduates from any stream can give this exam. Today top MNC IT companies like Cognizant (CTS), HCL, Accenture, Wipro and many other MNC are offering jobs for people who are able to crack amcat exam. All the branches can give amcat exam. eligible branches for amcat are ECE, EEE, Mechanical, CSE, IT, MBA, MCA. Amcat test consists of various sections/modules which you can choose according to your profile or education background. There are certain modules which are compulsory for everyone (Language and Aptitude Modules), whereas others are optional. During the test, you will be given an option to select any two domain specific modules. It is recommended to that you go through the module description and befitting job profiles before you go to take the AMCAT. Your choice of modules increases your visibility for particular kind of jobs, for instance, if you take the Programming Module, you will be visible to more IT companies whereas taking a HR module will help you find HR profiles. So it is advisable that you choose the module which is best suitable for you and kind of job profile you want because as i mentioned earlier based on your particular subject score you will get job notification from Companies Hiring through AMCAT and interview call. It is now your turn to go through the given module list and decide which optional modules you would like to take. Given below is the list of all the modules that you can take in AMCAT. The ability to communicate effectively through written documents. The module assesses capacity of an individual to interpret things objectively, to be able to perceive and interpret trends to make generalization and be able to analyze assumptions behind an argument/statement. Not satisfied with AMCAT ?? Besides AMCAT Syllabus and Sample Papers, you may want to take AMCAT test and for that you need to purchase the test. apply below code to get the discount. Now you will get instant discount of 50-100 rupees. Confusion over how to get discount then refer below article. Here is the complete AMCAT Syllabus and Sample Papers List for you to prepare better . 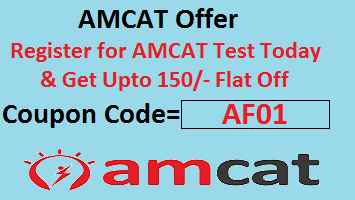 For more details about AMCAT you can visit their official website and register for AMCAT notification and test. Is there any vacancy for mechanical engineers?? Yes, Mechanical engineers also gets benefits of AMCAT. Once you have scored good marks in AMCAT according to your branch you get job notifications and calls from companies who are hiring thru AMCAT. Sir,what is the exam pattern for mechanical engineering and how many questions will be asked? are you from which college ?? Ya .i have a company called “K cart” placed in karur. Send your resume to my mailid. Hope you will get a good job in our concession. I’m mechanical background student,now i would like to work in IT sream.how to apply amcat as get noti of IT jobs ???? Dear Muni, Register for AMCAT and choose Programming Module in one of your Section then You will also get IT Job Notification on basis of your score. I have to know is there is vacancy for networking.ites jobs.actually like top MNC s like TCS ,CTS ,wipro. Now im pursuing final year ECE dept .I’m i eligible to write this AMCAT exam . Yes Irfan Ahmed you can appear in AMCAT Exam. I Just Completed My B.Tech a month ago, am I eligible to appear for Amcat..?? Can I apply for both computer science and computer programming on amcat? And what are the fee details for amcat? hi sir , im persuing BE in ME branch . i have sem back then can i apply AMCAT? Hi sir ‚I’m from IT department…BT my 12th percentage is not good only 53%…so I want 2 ask one question that m I eligible for AMCAT?? Yes, Priya you are Yes eligible for AMCAT and you should apply here for AMCAT test AMCAT Off Campus Drives Registration.. Pay the fee and schedule the test. Afterwards if you score good you will get job/interview calls accordingly. I have completed my mcom from ignou with 61% am I eligible to give amcat. Dear Priya, Yes you are eligible to write AMCAT Exam. I completed my b.tech in cse,2015.i am fresher.can I get job after giving amcat test? I am from ECE background… Which module in Engineering section i have to select if i want to go in software domain……??? Dear Mohd Owais, You have can opt Basic Computer and Programming Section for Software Domain Companies. Sir, Wipro and Ericsson allow 2 yrs gap after HS for freshers(B.Tech) or not ? Sir,i’m basically from metallurgical branch.But i want job in IT field,like programming.When i appear to amcat test,Can i choose directly Computer science or programming in domain subjects or else i should chose metallurgy only.Can u plz tell me? Which module in Engineering section i have to select if i want to go in software domain……??? I am doing a course in software testing. so can I prefer testing as the domain or I have to prepare on programming also? I am a fresher scored 56 in graduation . My doubt is very common to all . If I got 90 percentile in amcat exam .will be there any companies who can shortlisted me. Bcz every time there is a barrier of percent in graduation (60) percentage. Hello Vijay, The Current Hiring Process Needed the 60 % in Academic. But Still There are Many Companies they Recruit candidates based on AMCAT Score. I am 2013 btech passout in eee .am I eligible for amcat exam now. Hello Pushkarini, Yes You are eligible to Write AMCAT Exam. Dear biju, Yes You are eligible to write AMCAT Exam. sir,please tell me that I have done registration for amcat exam anything else I have to do as I read through the comments that we have to select the module ?? what is this? ?Please ellaborate it!!! and please tell anything which is needed for exam beside the admit card?? Hello Vaishali Sharma, If You have registered for AMCAT Test then you do not need to do anything. The Exam Will Consisting Modules Like Programming Section, Basic Electronics etc.,you can choose them while writing your Exam. my aggregate throughout is not 60%. but after giving this exam , can i apply to companies which has 60 criteria?? Still you need to pass the individual company criteria. good morning sir, actually am from civil department but, I want to getting a job in software field so can I eligible to write AMCAT? Hi sir, I’m 2014 passed out and currently working in mainframes domain. Am I eligible to write amcat and try giving a shot to new companies ? Once after appearing for amcat, how can i apply 4 jobs in specific companies??? Do i hav 2 wait until d company posts a job offering??? Or can i apply beforehand??? sir, i am stydied BE(Mechatronics) engineering and i would like to write this AMCAT so am i eligible for this one? i am studing in B.tech 3rd sem am i elligible for this exam. Just wanted to ask you that,,what is the good way to learn mathematics aptitude. Sir i want amcat and elitmus syllabus for ece students . Please can you send this..
You just have to select one programming language of your choice and score well you will receive many calls from IT companies. I am Priya deaf. I did m.com. what is amcat syllabus 2017 for m.com? How many marks I need to score to get interview calls. You need to score well (more than 80 percentile) to get desired calls from companies. Sir.. i hv done btech from it branch.. i have got 76% on 10th as well as more than 65% throught the btech.. but i have got 57% in 12th.. can i get job in mnc company.. or u can say me plzz that eligiblity criteria for tcs wipro.. may i eligible to this type of big mnc..
Sir iam raju of b.tech final year from eee ,what is the optional syllabus please explain in brief sir.. Which optional i have to choose if i want to go through IT jobs..
Hi Raju, optional subject are subjects other than compulsory subject in AMCAT. all the aspirants need to choose one optional subject apart from compulsory subject. As per optional subject you choose, you will receive job updates. Sir.. I am studying 3rd year ECE can I apply for amcat or not?? If i gott job after taken . How I can do job not completing my graduate. Hello sir,i’m sharun from 2015 batch mechanical engineering,can I apply for amcat exams?? Hi We have provided full details on AMCAT on separate article about AMCAT. Please click on below links for all the article about AMCAT Registration, AMCAT syllabus and exam pattern, list of companies hiring through AMCAT. I have done electronics engineering but have good knowledge in computer science. While taking the exam, is it compulsory to choose electronics as 1 of the modules (since it’s my background) or can I choose computer science and computer programming as the 2 additional modules (and not do electronics) ? Hi Tanvi, It is upto you what you want to choose. for an example, if you select computer science and computer programming then you are more likely to get an interview call from company who is looking for Computer programming candidates and vice versa. I completed Engg in 2015 batch ,and am I eligible or not to write the exam at present? And also how can i get to know the exam patter. If possible please send me previous exam paper. So that i can practice well for this exam. Hi..I’m Varun currently in my final year of engineering.I want to appear for the AMCAT exam but due to college schedule I’m not getting enough time to prepare for it. I wanted to ask a few questions: How much time one needs to prepare for this test? I’m currently aware of the job opportunities I’m missing but if I register for it then I’m not sure when I should appear for it?Can I give this exam again if I don’t clear it? Can you please guide me.? Hi Varun, there is no time defined for preparation of AMCAT but yes if you are good at English and aptitude then surely you will score good marks. For your reference i’m giving links for other article which will help you in your preparation. Am computer science engineering I don’t hv idea about amcat pattern n marks. Totally how many questions thy will ask with allocated time? Sir can Mtech final year students also apply for amcat? hi iam actually from mechanical engineering if i write amcat with optional module as mechanical engineering will i get calls from IT company. Sir…..I’m from mechanical background I would like to work in IT field, what module should I choose to get enter into IT through AMCAT?is that necessary to choose two optional module for engineering stream? Such us programming module and mechanical steam………. I wanna job in IT field so only asking this pls……..
Then what is the necessary mark to get into accenture? Can I get a call from accenture? What is the eligible to get enter into accenture through amcat? What is the eligible score required to get enter into accenture through amcat? Is there any electrical core job in AMCAT ??? I am done with the electronics engineering and now I have scheduled amcat test. I just wanted to ask what are those optional module and as I dnt want to go to software which module I should select. How much marks should i get to pass AMCAT Exam? Yes, you will get good job offer if you score good marks in AMCAT Exam. Mayuri, you can choose Computer Programming …. On Fees detail. The AMCAT 2017 costs Rs 990 plus taxes (including a year’s subscription). You can register thru our website (alpingI) and get 100 rs Flat off. Sir , im pursuing bca last year , sir can i eligible for Amcat ? can i also give the test? I am a graduate student in food process engineering department. What are the optional subjects in amcat. Shashank, please look for amcat sample paper uploaded on official website. Is there any technical regarding questions in the test? i m from electrical engineering background.i want job related to my stream…how amcat will help me to get job in core mnc companies ?? I’m in M.COM 2nd year. Am I eligible to write AMCAT ? Yes, but try to write exam in final year as companies will be hiring in final year. I am doing instrumentation engineering. Do they ask any questions related to programming in the paper??? I am M.tech 2016 passout fresher. Is there any chance of getting job in IT through AMCAT? Is AMCAT benificial for me? Yes, AMCAT is helpful for M.Tech Students. What is the syllabus for Electronics nd Communication Engineering? Im from …ece department and planning to write amcat …but I am interested to work in it field ..so if I select electronics as a subject ..will I not be getting interview calls …for designation as a software developer. Hi sir I scheduled my exam on 15th April , and I am from elecrical background . which modules to select to get placed in IT and how to prepare for exam? which book to refer? score well in programming section. Can you please provide me the previous question papers PDF with solution for EEE stream.